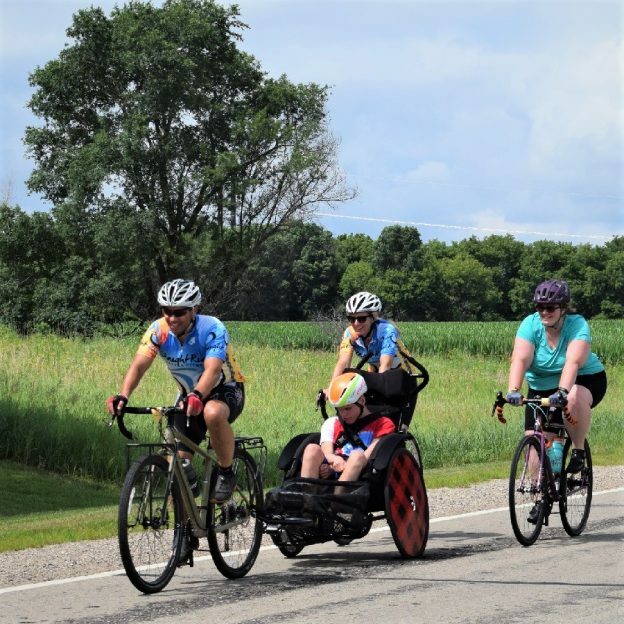 Here in this bike pic, digging through our summer archives, we captured this fun photo of a family enjoying time together on Rock-n-Roll the Lakes ride last summer in Albert Lea, MN. See more fun photos on their Facebook page. This entry was posted in Picture of the Day and tagged Albert Lea MN, bike guide, bike mn, Bike Ride, bike touring, biker family, free bike maps, HaveFunBiking, Minnesota Bike Guide, Minnesota bike maps, pic of the day, Rock n' Roll the Lakes on November 27, 2018 by Russ Lowthian.